Cervical discectomy is the most common of all neck surgery procedures and is performed to treat a variety of causative conditions involving the intervertebral discs in the neck. 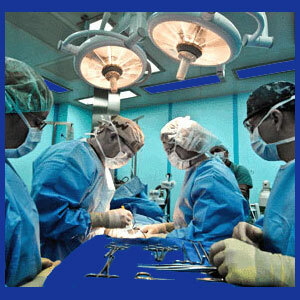 Discectomy is a category of surgical technique with many individual approaches qualifying to be called full or partial disc removal. Although this is certainly the most often utilized neck operation, results are not promising. In fact, the majority of discectomies are statistically considered failures over extended timelines, although this is not general knowledge, nor actively propagated information. If it were, many patients would think twice before going under the cruel knife, especially since the odds are stacked against them for finding permanent neck pain relief. This article will detail the discectomy procedure as a therapy for chronic neck pain events. Discectomy, regardless of where in the vertebral column it is performed, is simply a spinal disc removal technique. In most cases, only part of the offending intervertebral disc is removed, although in some circumstances, the entire disc structure can also be excised. The intervertebral discs are spacers in between the spinal bones. These structures help to provide intervertebral movement from vertebra to vertebra and also add overall length and flexibility to an otherwise rigid spine. Spinal discs are made up of 2 basic parts: the annulus fibrosus and the nucleus pulposus. In almost all cases, both areas are treated during the procedure, with part or all of the nucleus being removed and the annulus resealed to prevent re-herniation or nucleus protein loss. Intervertebral herniation, called a herniated disc, is the most commonly treated diagnosis. This is when one or more of the spinal discs develop a bulge or rupture, often putting pressure on one or more of the spinal neurological structures. When the spinal cord is pressured, central spinal stenosis is often the working diagnosis. When one or more of the spinal nerve roots is compressed, this is commonly named a pinched nerve, or technically, a compressive neuropathy. Degenerative disc disease can be treated with discectomy, although most cases also involve herniation. Completely desiccated discs might be completely removed as part of a spinal fusion or artificial disc replacement operation. In these circumstances, discectomy is just part of the overall surgical goal. This same approach is often also used for severe herniations, as well. Some atypical spinal curvatures can be treated partially, or wholly, with discectomy. In some cases, removal of disc material might help facilitate a reduction in abnormal curvatures or might help create curvature where it is lacking. In far more cases, discs are removed as part of a spinal fusion, often necessitating the use of binding surgical hardware to reinforce multiple vertebral levels in cases of severe scoliosis, hyperlordosis or hyperkyphosis. Discectomy is normally performed as a minimally invasive technique, using catheters, fiber-optics and specialized surgical tools which can be extremely accurate and effective without the need for any large incisions. Many of these operations are performed using an anterior approach, through the front and side of the body, rather than the back. This saves the need to any muscular dissection and reduces scaring, pain and recovery time considerably. Some less developed countries still utilize fully open surgical discectomy with large, painful and risky incisions in the rear anatomy of the neck. Partial discectomies only remove a portion of the disc and are usually used in cases of intervertebral herniation. In these procedures, the mass of the nucleus is reduced, hopefully eliminating pressure on nerve fibers. Complete discectomy is utilized when a spinal fusion is to be performed as well, or in cases where the patient elects to forgo fusion by receiving an artificial disc prosthesis. Stand-alone discectomies often result in re-herniation or extreme disc deterioration immediately or eventually. This often leads to follow up discectomies, or more involved procedures, such as spinal fusion. Discectomies used as part of a multi-step surgical plan often prove unsuccessful due to overall vertebral column degeneration in cases of fusion, and hardware complications or failure in cases of disc replacement. Only a minority of patients do not require follow up operations and achieve a state of being pain-free after discectomy. The best results are possible in cases of acute nerve compression due to trauma or injury, from a single level herniation which is treated and sealed adequately to prevent re-herniation or subsequent rupture postoperatively. Given these statistics, neck pain sufferers should be advised to weigh all their options very carefully before even considering any surgical fix for their pain.